Where are my DSLR video shooters?! Here is a great video by DSLR Video Shooter highlighting two options for DSLR video shooters. I personally use the 5D Mark 3 for almost everything on The Average Nobodies YouTube Page. PS- if you are looking for any cheap DSLR monitoring/controlling options check out this video I did on using a Nexus 7 as your monitor. Google just made some announcements live over its YouTube channel that I am particularly excited about. Along with the new line of Nexus 7 tablets (which are still, by far, the best bang-for-buck tablet going) Google announced something called ‘Chromecast’. 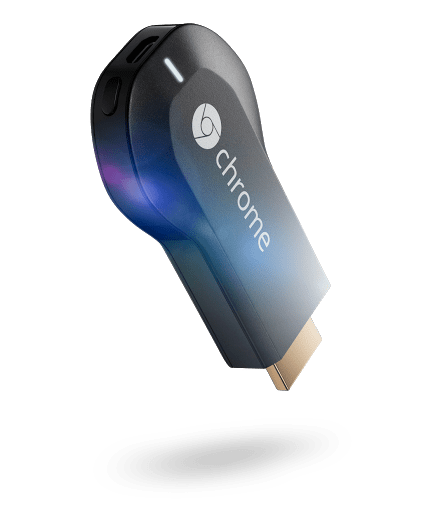 It is essentially a HDMI flash drive that puts the power of google chrome into your TV. Now you can stream: videos, pictures, music, web browsing (across all devices) to your TV! But wait…isn’t that kind of what the Apple TV and Roku do? Yes it is, and it does it for the fraction of their prices. $35 gets you everything you need, PLUS 3 months free of Netflix. Need I say more? Google, you know the drill, TAKE MY MONEY!